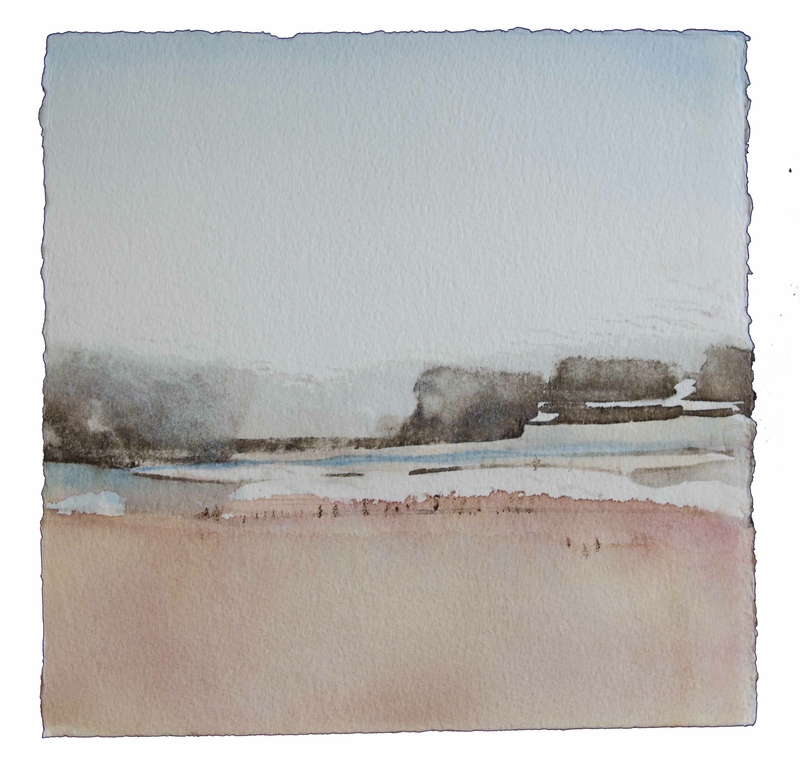 An exhibition of watercolor landscapes by Monica Angle opens Friday in Pausa Art House. Monica Angle’s most recent series of watercolors are meant to look and act like memories. They show vague landscapes that can be read any number of ways – maybe the edge of a river, maybe the middle of a verdant field. But most of all they each evoke a specific mood, in the same way you can’t call to mind the exact visual details of a childhood memory but remember exactly how you felt at the time. The series, called “Smudged Ink,” will go on view at 6 p.m. Friday in Pausa Art House (19 Wadsworth Ave.) as part of the monthly Allentown First Fridays gallery walk. The show will remains on view in Pausa through June 28. Other highlights of the gallery walk include new work by Esther Niesen in Studio Hart (65 Allen St.), Sara M. Zak at Starlight Studio and Gallery (340 Delaware Ave.), a four-person group show at C.G. Jung Center (408 Franklin St.) and Elizabeth Labarge at the Indigo Art gallery (74 Allen St.). For more information, visit www.irstfridaysallentown.com.